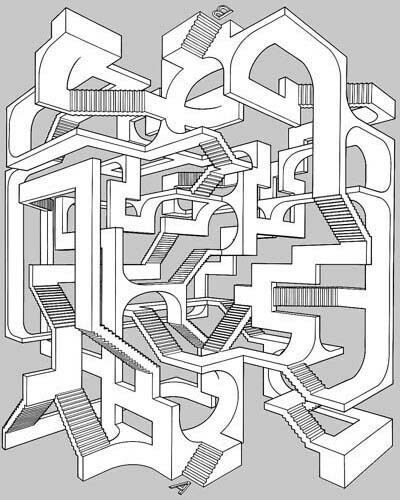 Are there any adventures with impossible maps ala Escher? Now I'm curious. 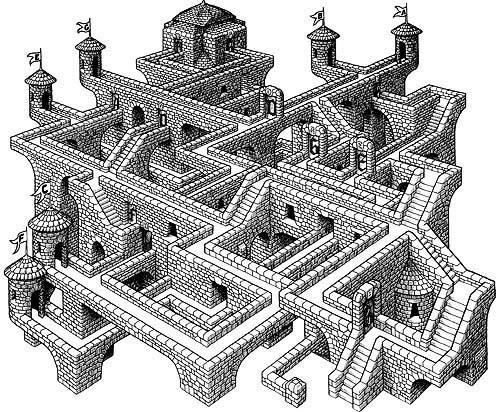 Are they mapping the dungeon on their own, hence their confusion? Not *exactly*. I use MapTool with LOS enabled, so as they explore it reveals the map, but there is fog of war. 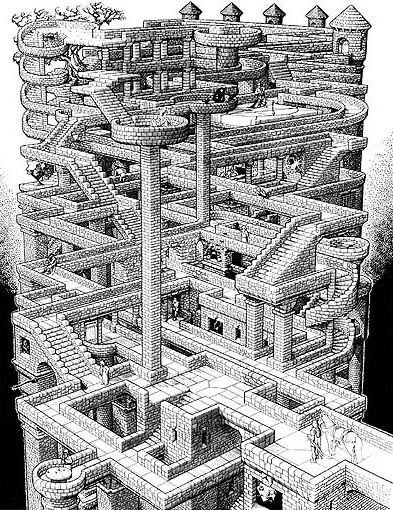 So when they wrapped around it just looked like they had gone down a long tunnel and entered new territory. 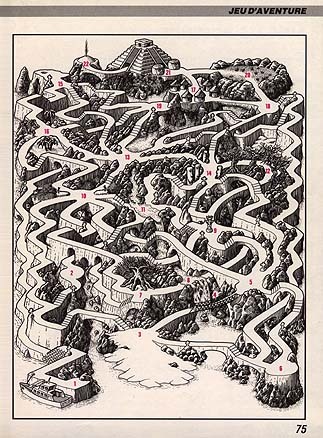 The reason they're still confused is because they found the stairs almost immediately after wrapping around, so they actually believe the stairs are a long way to the north, when in fact they are a short way south (they just never went that way). One of the castles in A Red and Pleasant Land might qualify. 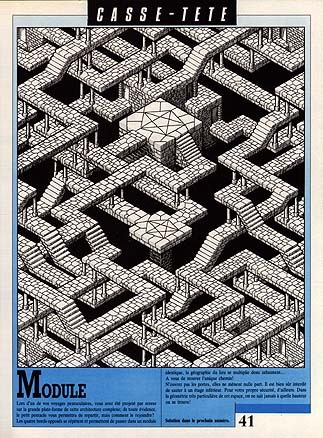 It has a shifting gravitational orientation as you progress and the final room explicitly invokes Escher; the PCs enter a door and come out different doors and windows as shown in a painting of the room where the perspective is very skewed. A mini solo scenario : Feodédale. Pitty the text is hardly readable. Before this thread fades into oblivion, thank you to everyone who responded. Now to pick out which ideas I like best and try to figure out how to use them for a Mutant Future location.